Kathleen Peacock’s thrilling novel is the first in the Hemlock trilogy, a spellbinding urban fantasy series filled with provocative questions about prejudice, trust, lies, and love"
How gorgeous is this cover? I really love it! Even the blurb is fantastic!! I love werewolf books, I haven't read a whole lot of them though, but I can't wait to read this one! I really like the sound of this and its playlist. This cover IS beautiful! Great Choice! OMG I am dying to read this book!! I have heard such AMAZING things about this book!! Great pick! 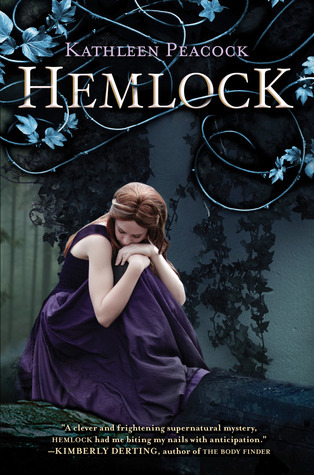 I'm not completely sold on werewolves, but I DO want to read Hemlock! I love a good murder mystery. :) Great pick!